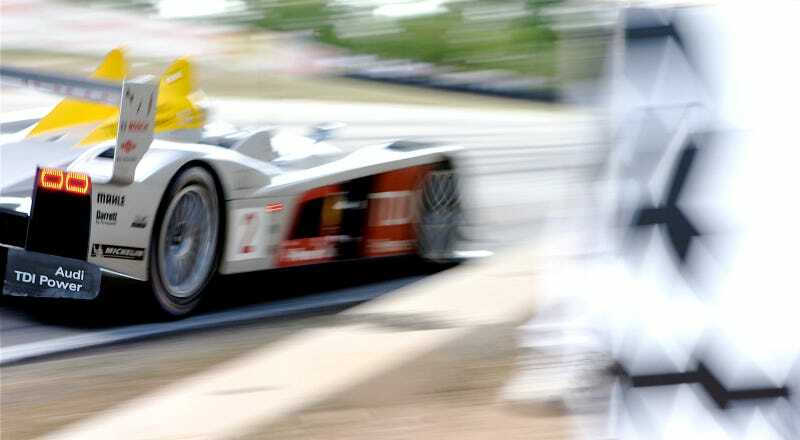 Audi R10 TDI, Road America, 2006. I was halfway into a piece of pie and nearly missed the leaders coming around. Yanked the camera up and didn't even look through the viewfinder. I bought a lottery ticket the same day.